Skippers’ Cove offers you absolute Waterfront Apartments with 2 or 3 bedrooms and Poolside Apartments with 2 bedrooms. All Waterfront Apartments are fully self-contained facing north. The 2 Bedroom Apartments will sleep up to 4 and 3 Bedroom Apartments will sleep up to 6. 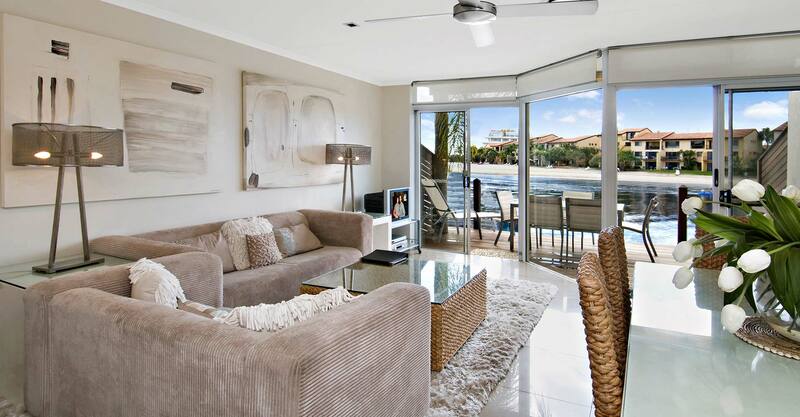 Waterfront Apartments are truly waterfront with your own private deck or balcony over looking beautiful Noosa River. If space, luxury and water views are the recipe for a perfect holiday, then you will love these Apartments. The Poolside Apartments are spacious and overlook the landscaped swimming pool area with child security gates into your private courtyard. They are ideal for families with small children. 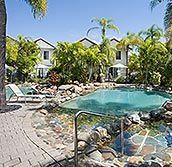 If it is a relaxed and easygoing lifestyle you are looking for in a holiday, or somewhere simply to get away from the rush and bustle of city life, then Noosaville is definitely the place for you. 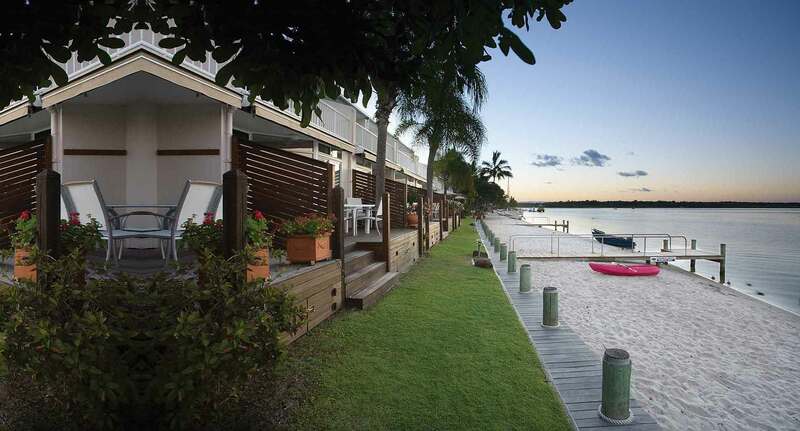 One of the most important features of the Noosa Region is the Noosa River which, over the years, has been transformed into a playground for the water enthusiast and nature lover. It has become one of the most pristine waterways in Australia, admired by many for its scenic beauty. The river flows through the Cooloola and Great Sandy National Parks bordered by unspoilt bush-land, rain forests and majestic foreshores. 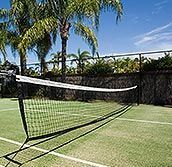 It is a flora and fauna sanctuary where there is an abundant array of plant species, birds and wildlife in their natural habitat only a short distance away from urban activity. Skippers Cove is extremely family friendly and convenient being right on the water front, with a wide sandy beach for the kids to play, boat and swim. 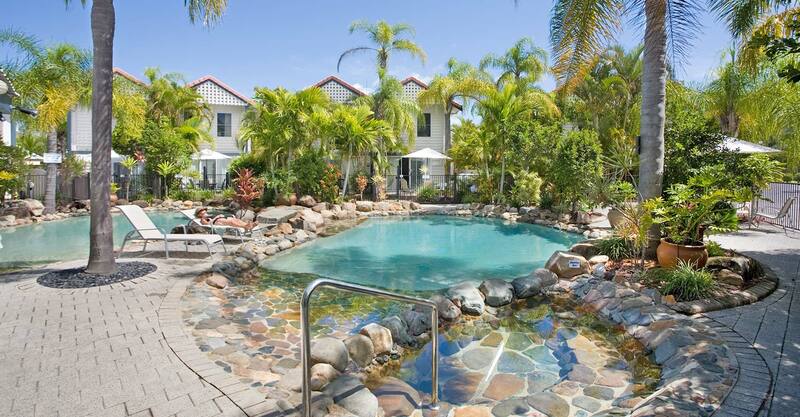 The complex has a number of kayaks available for use, 2 pools plus spa and bbq area. we were able to step out the front door of our apartment, walk about 15 paces to the water edge and catch fish – the kids loved it. We have already booked again for Dec 2016! copyright 2016 skippers cove. All rights reserved.